Journal of Behavioral Health. 2012; 1(3): 185-188. Geethu C., Elizabeth Phoeba Paul, Jasmin Elizabeth Thomas, Chintu S. Pullan, Hemalatha S., Sivakumar T.
International Journal of Community Medicine and Public Health. 2016; 3(8): 2191-2196. Open Veterinary Journal. 2015; 5(2): 158-165. Rawal Medical Journal. 2016; 41(4): 508-510. National Journal of Clinical Anatomy. 2014; 3(1): 42-44. Why Has COPE Developed Guidelines for Cooperation Between Journals and Research Institutions? Medical Archives. 2012; 66(4): 220-221. NARAYANA NURSING JOURNAL. 2015; 4(3): 5-6. Materia Socio Medica. 2012; 24(3): 140-141. Prevalence of Stress, Anxiety and Its Correlates among Adolescents in Kannur District, Kerala, India. International Journal of Health Sciences and Research (IJHSR). 2016; 6(8): 225-228.
International Journal of Health and Rehabilitation Sciences (IJHRS). 2012; 1(1): 38-42. Evaluation of Adolescents’ Level of HIV/AIDS Awareness and Sexual Behaviour in Selected Secondary Schools in Ibadan. International Journal of Health Sciences and Research (IJHSR). 2016; 6(1): 290-298. Acta Informatica Medica. 2012; 20(3): 136-140. Acta Informatica Medica. 2010; 18(2): 96-99.
International Journal of Medical Research & Health Sciences. 2014; 3(2): 302-308.
International Journal of Medical Research & Health Sciences. 2013; 2(3): 582-588. Effects of Four Different Hold and Rest Time Combinations of Intermittent Lumbar Traction in the Treatment of Lumbar Intervertebral Disc Prolapse: A Comparative Study. International Journal of Health Sciences and Research (IJHSR). 2016; 6(1): 214-220.
International Surgery Journal. 2014; 1(1): 53-55. Acta Informatica Medica. 2010; 18(1): 20-24. Annals of Paediatric Rheumatology. 2015; 4(3): 48-52. Wilson’s disease: A Review on Clinical Presentation, Diagnostic Methods and Treatment. International Journal of Health Sciences and Research (IJHSR). 2016; 6(9): 443-450. Journal of Physical Therapy (JPT). 2013; 7(2): 50-59. Cukurova Medical Journal. 2012; 37(3): 133-138. Rawal Medical Journal. 2013; 38(2): 209-210.
International Surgery Journal. 2014; 1(3): 140-143. Journal of Applied Pharmaceutical Science. 2014; 4(8): 032-035. Acta Informatica Medica. 2011; 19(3): 153-157.
International Journal of Advances in Medicine. 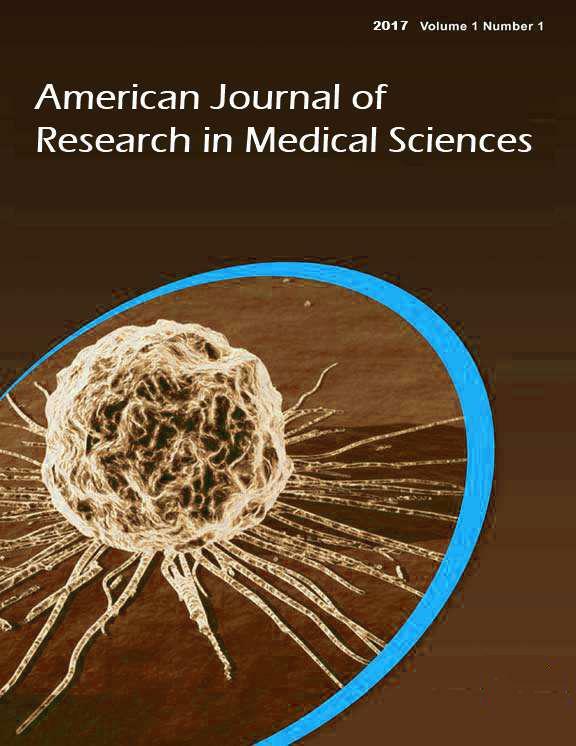 2016; 3(3): 744-747.
International Journal of Research in Medical Sciences. 2016; 4(12): 5252-5255. Journal of Behavioral Health. 2016; 5(4): 197-201. Journal of Applied Pharmaceutical Science. 2014; 4(8): 052-055. Association between Moderate-Intensity Physical Activity and Inflammatory Markers in Women With and Without Breast Cancer. International Journal of Health Sciences and Research (IJHSR). 2016; 6(3): 219-230. Rawal Medical Journal. 2013; 38(1): 66-74.
International Surgery Journal. 2016; 3(3): 1051-1060. Medical Archives. 2013; 67(5): 308-313.
International Journal of Contemporary Pediatrics. 2014; 1(3): 160-163. Annals of Paediatric Rheumatology. 2013; 2(1): 38-42. National Journal of Physiology, Pharmacy and Pharmacology. 2018; 8(1): 37-41. Journal of Applied Pharmaceutical Science. 2014; 4(7): 038-040. THE ULUTAS MEDICAL JOURNAL. 2018; 4(3): 175-183. Journal of Molecular Pathophysiology. 2016; 5(2): 28-30. Journal of Environmental and Occupational Science. 2014; 3(1): 25-30. THE ULUTAS MEDICAL JOURNAL. 2018; 4(4): 184-193. Medical Archives. 2012; 66(3): 148-154.
International Journal of Contemporary Pediatrics. 2016; 3(3): 1089-1091.
International Journal of Advances in Medicine. 2016; 3(4): 952-958. Journal of Contemporary Medical Education. 2016; 4(1): 8-12. Doctors’ role in long-term care: How do students learn about it? Journal of Contemporary Medical Education. 2013; 1(2): 73-76. American Journal of Physiology, Biochemistry and Pharmacology. 2014; 3(4): 159-163. American Journal of Physiology, Biochemistry and Pharmacology. 2015; 4(2): 50-57. THE ULUTAS MEDICAL JOURNAL. 2015; 1(4): 104-110. Journal of Physiology and Pharmacology Advances. 2014; 4(11): 501-508. Journal of Molecular Pathophysiology. 2014; 3(3): 38-46. Spatula DD. 2013; 3(4): 147-154. Case Study and Case Report. 2013; 3(4): 147-150.